We are the Weaver family and we are in full time mission work with Wycliffe Bible Translators. We have accepted a call to work in the Pacific branch of Wycliffe and will be living in Ukarumpa, Papua New Guinea. Nate and Jess met while attending Kingswood University (formerly Bethany Bible College). They were engaged their last semester at school and married in August of 2006. After 3 years, Mateo Evan Weaver was born followed closely by Amira Grace Weaver in 2010. Our newest member of the family, Malakai Aidan, was born in 2012, bringing us to a family of five. Jess felt called into missions as a very young child “I remember asking my mom about the hungry children from Africa that I would see on TV. I was never really interested in sponsoring them, however I would often tell my mom that we should go there, and take care of them.” At the time, I’m sure she thought it would pass that day or the next, and the following week I would claim I wanted to be a ballerina instead of a missionary?.but that was the start of God’s call on my life into missions. As a teen, Nate felt God’s calling to work in crosscultural ministry. A few years later, he had the opportunity to go on a life changing Missions Trip to Honduras. Nate learned that no matter where God has called you to, you are there for a reason and for His purpose. The passion to do the Lord’s work overseas was confirmed and has been a pursuit ever since. The Vision of Wycliffe is that all people in the world will have the ability to read the Word of God in their heart language. Nate and Jess will be a part of the Wycliffe team in Papua New Guinea(PNG). At approximately 820 languages, with around 280 that still do not even a verse of the Bible translated. Nate is currently working with the Scripture Use team in Papua New Guinea. We work alongside of communities, local leaders, and pastors to help encourage and strengthen the use of scripture in the daily lives of people. This is done through workshops, training, and discovering what the needs of the community are. Nate is also involved in the North Fly Project, where Bible Stories are being translated into local languages. Jess is using her pastoral skills overseas by caring for missionaries who are going through tough times. 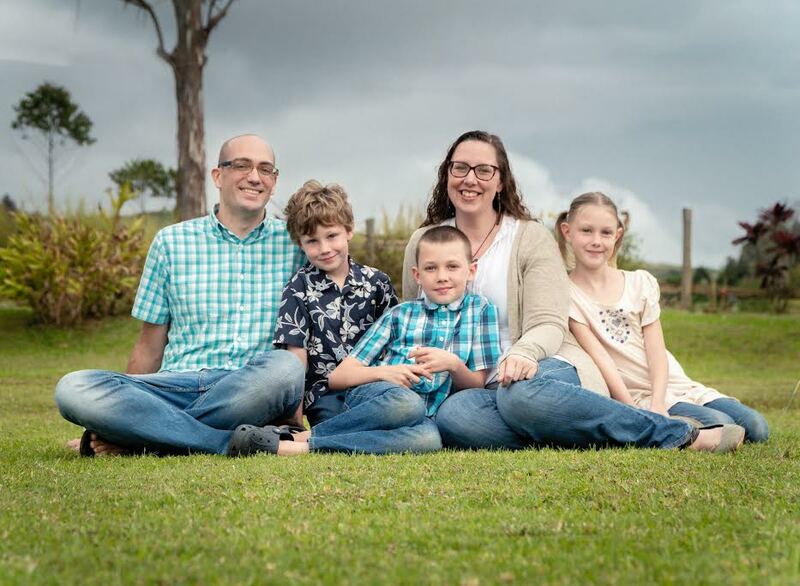 As you can imagine, life overseas is rarely easy and Jess is part of the team that brings pastoral care to those who need it while living on the mission field. Having this team of people to care for others during crisis means that missionaries are cared for well, and are able to stay on the field longer." Our family is excited as we continue this journey that God is leading us on! For more information on our ministry and what we are doing, please follow us at http://globalweaver.wordpress.com/ or on Facebook. We would love for you to be a part of our support team! If you would like to make a donation online, you can do so by clicking on the Wycliffe logo pictured below. You will be taken to the Wycliffe website Where you will have the option to Donate online now. Simply click that link, put in your details, and then in the provided window advise that your donation is to be directed to the Weaver family in Papua New Guinea. You can choose to make a one time online payment or join our monthly support team by setting up a regular Pre-authorized payment. Thank you so much for investing in the mission that God has set before us!